A coat’s poor condition may be the result of more serious underlying causes. Sleek and shiny, or dull and matted: What’s your cat’s coat condition like? As a vet student (many years ago), I learned a valuable lesson on a cattle medicine rotation. On a cold, wet afternoon, standing in a drafty barn, the lecturer told my group to pick out the sick cow from the herd. 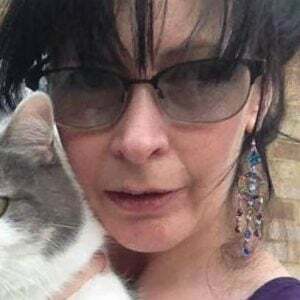 Sure enough, the sick cow was the one with a dull, matted coat, partly choked with shed hair, while the healthy beasts had sleek, glossy coats. The lesson learned was that when animals don’t feel well, they stop grooming — hence the dull coat. This applies across the species, including our pet dogs and cats. Let’s say straight out that cats and knots go together like bread and cheese and are often nothing to worry about (other than the discomfort they cause). Indeed, more times than not, they are right, and the cat simply missed a bit during their morning bathroom break. However, there’s a reason many older cats have dull, starry coats. Yes, the cat may sleep more, but often it’s a basic sign the cat is too sore or uncomfortable to groom or is too stiff too reach the tricky bits. If you have an older cat, try comparing “then and now” photos. If their formerly pristine, sleek pelt is now dull and tufty, it’s time to wonder why this might be. As it happens, there are several reasons a cat might groom less, and poor coat condition is a clue they need medical help. 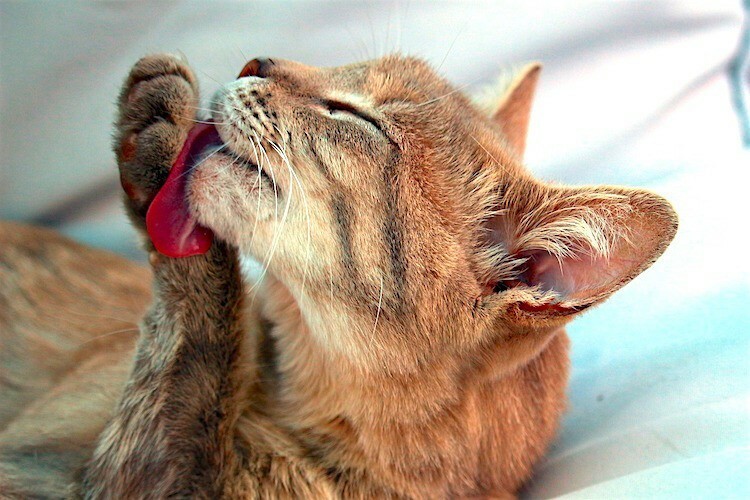 When a cat’s main grooming tool is their mouth, if their teeth hurt, they’re not going to wash. When they ease off on coat care, the benefit of natural conditioning oils is lost and tangles don’t get teased out. The answer is to get those dental problems sorted out — after all, you wouldn’t want to live with a nagging toothache, so why should the cat? It’s thought around 90% of cats aged over 12 years have radiographic signs of arthritis. That’s a lot of kitties with the potential for stiff, sore joints! A stiff elbow or shoulder makes it awkward for a cat to use their “facecloth” (a.k.a. their paw) to wash. But more than that, an arthritic neck or spine stops them from turning around to groom their headquarters. Ever noticed how older cats tend to get knots over their flanks and rumps? It’s because of arthritis in their spines. However, there is a licensed medication that helps reduce the discomfort of arthritis and improve the cat’s general quality of life. In addition, giving them a gentle comb and brush once a day reduces their workload so they stand a better chance of staying on top of knots. When you feel under the weather, you lose interest in things you previously enjoyed. The same goes for cats. If they’re not feeling 100%, then often the first thing to slip is grooming. Get them checked by a vet to treat the problem at the root cause. Cats are secretive creatures. If a cat is injured in a fight, they’ll go and hide so that rivals don’t see they’re vulnerable. The same thing goes when a cat is in pain or discomfort. They’re liable to go off and hide, or else sleep more. With both options, they’re less likely to spend time washing. Again, a vet trip is essential to get to grips with the discomfort. Stress can do strange things to cats. For some, it triggers cystitis; others may groom too much, while still other cats will stop grooming altogether. Have a think about what’s changed recently in your cat’s life. Are they perhaps less than thrilled about the new kitten, or have you just returned to work after a leave of absence? Then take steps to get their life back in the groove by providing them their own cat sanctuary and using synthetic feline pheromones to diffuse the stress. And last but not least, sometimes the job is just too big to manage. For longhaired cats or those who shed heavily, sometimes the cat just can’t keep up. If shed hair is trapped in the coat, it rapidly knots together and forms mats or tangles. The answer is a simple one in theory: Brush your cat every day. However, in practice, the cat may resent being brushed because the knots hurt when you tug on them. If this is the case, get help from a groomer or vet tech to clip the tangles out, and then start with a knot-free coat. But most of all, don’t turn a blind eye to your cat’s knotted coat. 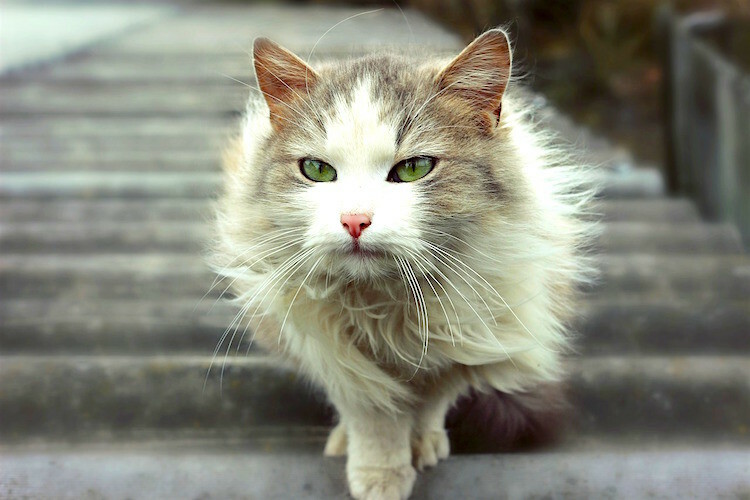 Instead, think about the deeper reasons your cat’s coat is matted and get them some help. This pet health content was written by a veterinarian, Dr. Pippa Elliott, BVMS, MRCVS. It was last reviewed Oct. 20, 2017.